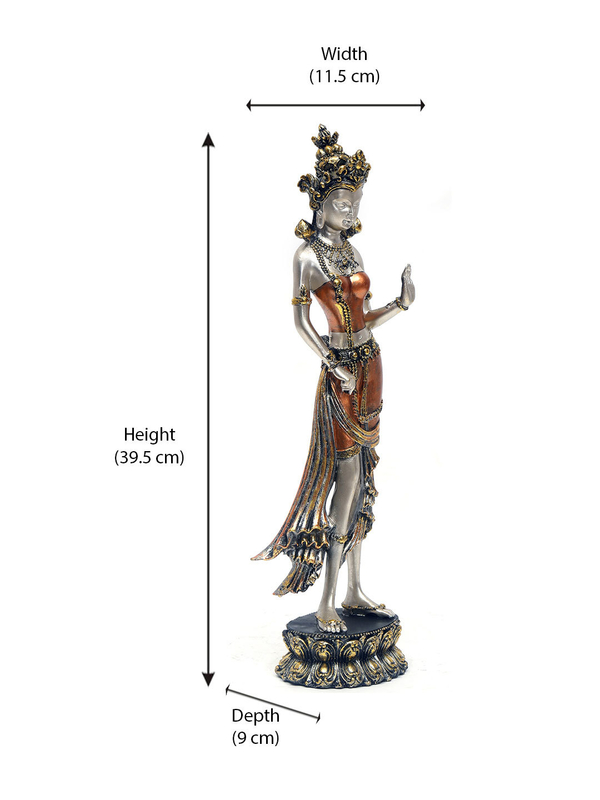 Here’s a Tara Bodhi showpiece that can add a little whimsy to your home décor. This showpiece in gold ticks off all elements of beauty and uniqueness. Place it on a special tall pedestal and it brings grandeur or make her a part of your figurines collection; she’s a pretty cool companion. Looking for a unique gift? This could be it. This décor piece is a bold statement of your unique taste and clearly stands out from the crowd.